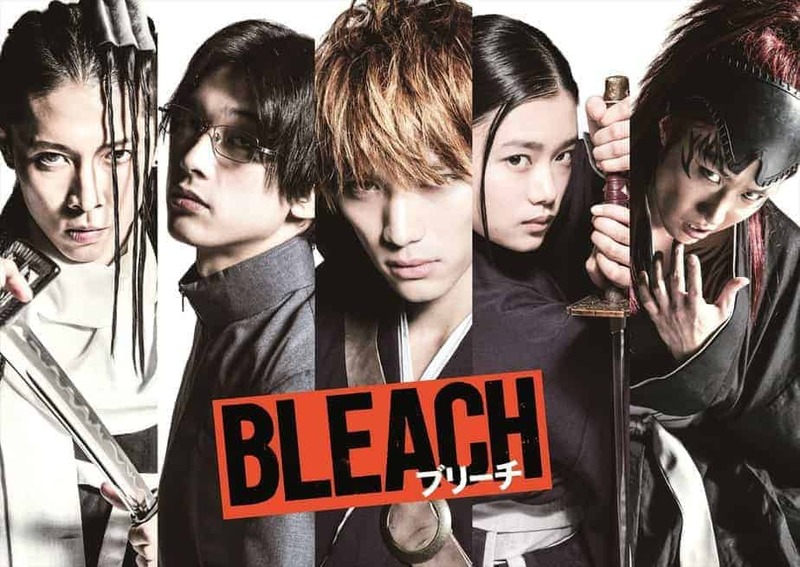 In the plethora of anime/manga adaptations that have flooded Japanese cinema (to say the least) during the latest years, “Bleach” was definitely one of the most eagerly expected. At the same time though, Tite Kubo’s work is one of the most difficult titles to be adapted as a live-action movie, not only for the grandiose battles and the extreme general setting, but also due to the plethora of characters and the number of episodes that form a rather complicate story. On the other hand, the presence of Shinsuke Sato on the helm, whose adaptations of “Gantz”, “I Am a Hero” and “Inuyashiki” were quite good, was definitely a good sign. Let us see what prevailed in the end, though. Expectantly, the story is a bit altered, in order to fit the medium, although the basic premises remain. Ichigo Kurosaki is a teenager from Karakura Town, whose mother’s murder at a young age has shaped his personality to a large degree. Furthermore, Ichigo has the ability to see ghosts, and has dedicated a large part of his life into helping the spirits find solace. One day though, he finds himself “hosting” Rukia Kuchiki in his house, a Soul Reaper whose mission is to usher the souls of the dead from the World of the Living to the Soul Society while fighting Hollows, monstrous lost souls who can harm both ghosts and humans. When Rukia is severely wounded defending Ichigo and his family from a Hollow she is pursuing, she transfers her powers to Ichigo so that he may fight instead of her, while she recovers her strength. Her actions unleash a very dangerous series of events, that threaten everyone in the area, including the two protagonists, as Rukia’s “fellow” Soul Reaper are set on bringing her back and the Grand Fisher (the aforementioned hollow) is revealed to have a connection with Ichigo’s past. Let me start with the evident truth: Sato had to include a number of the central characters, but he could not possibly analyze or even present them in their full glory. This takes a significant toll on the narrative, with a number of characters (Chad, Orihime, Ishida, etc) being on the film without any specific purpose, at least for the most part. Furthermore, the story turns out to be rather simplistic; the villains are there just to instigate some action scenes, and the movie results in a kind of romance between a woman-“teacher” and a man-“student” who try to survive against all odds, in rather clichéd fashion. Of course, the aforementioned can be attributed to the fact that Sato directs a movie that is addressed to people who already know the story of “Bleach” and perhaps on the inevitable follow-ups that are bound to happen. If we examine the film despite these two aspects, though, in terms of narrative, it definitely fails. “Bleach” is not without merits, though. The casting, and particularly Sota Fukushi as Ichigo and Hana Sugisaki are Rukia fit their parts perfectly, (although it would be “funny” if someone accused the producers for “oriental-washing”) and give very suitable performances in their respective parts, through a combination of quirky comedic acts and much angst, particularly during the ending of the film. Furthermore, the action scenes are quite impressive (although not as the ones on the anime) with the SFX team having done a very good job. The same applies to the presentation of the characters (clothes, hair, equipment etc) which is quite close to the original. Yamada Yutaka’s mostly guitaristic music is also one of the film’s better aspects, as it fits the various episodes to perfection, while it is also worth noting that The City of Prague Philarmonic Orchestra performs some of the tracks in the film. To summarize, “Bleach” is not a bad movie per se, but in the end, it results in another action flick, where a big budget has been mostly allocated to the SFX,, leaving the story and the characters to a distinctly secondary role. Of course, the original Bleach was no “Lord of the Rings”, but still I felt that the movie did not capture its essence, at least as much as it could. Fans of sci-fi blockbusters, though, are bound to love it. I didn’t.